This beauty back in stock! But for how long? Fall in love with the Grace Refined Yoga Cami. 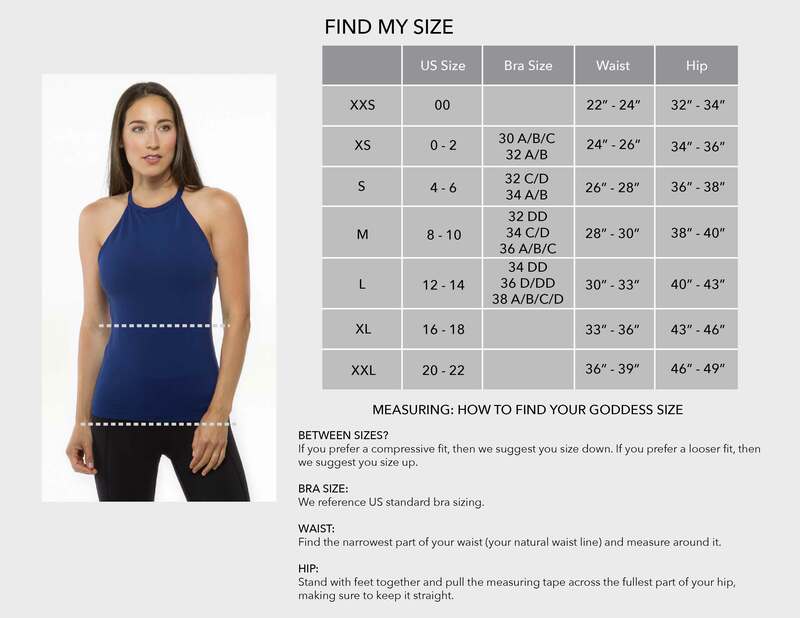 Featuring a double layer shelf bra and compressive PowerHold fabric, this supportive yoga tank is elegance, simplified. Size Medium is 20" from Center Front neckline. Other sizes are graded.